Stress is Nature’s way of telling you to get on with it. Every student who aims to become a high-achiever will experience exam stress. It’s an unavoidable part of student life that can be a tough nut to crack. Remember, stress exists for a reason and you can choose to let it be your downfall, or use it to drive you to improve your work. The difference between a student who allows stress to overwhelm them and someone who uses it to push them harder is what they do when they are facing that brick-wall mid-study. Admirable students will pause, reflect and choose a path that will help them overcome the impasse, not just wait for the wave to engulf them. The image below shows the results of a study conducted by Dr. Chuck Hillman of the University of Illinois. 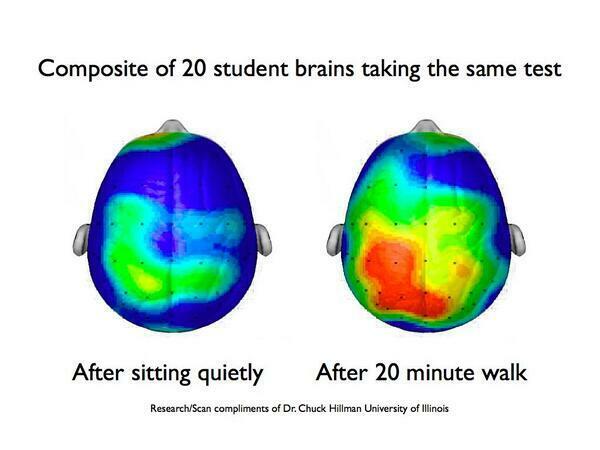 It clearly demonstrates the effect exercise can have on your brain’s activity. 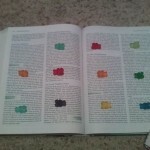 Imagine how this could improve your exam performance! Where do puppies come into exam stress? Lots of universities have installed ‘puppy rooms’ where students can come to relieve stress and anxiety. Pets have also been found to help you focus while studying but we wouldn’t recommend dropping into the library with your pet hamster! Popping bubble wrap is another stress reliever you can save for home study. Got any more exam stress tips for our learning community? Share them in the comments below or tweet us. This entry was posted in ExamTime Blog Posts and tagged exam stress, exam stress tips, exam tips, exams, study, study motivation. Bookmark the permalink.